Unfortunately, in the often hardscrabble world of sales, it’s all too easy to fall into it. Well, who wants to buy from someone who doesn’t make them a priority? Look, as I’ve written before, sales isn’t easy. It takes persistence. Patience. Bounce-back ability. A thick skin, too. As we began addressing last month, being good at sales also means being good at something else: planning. Unless you’re selling toothpaste at Walgreens, most prospects won’t buy just because you ask. A relationship has to be developed … which requires a plan. In psychological nomenclature, it’s about “conditioning” your prospects. You have to follow specific steps – a proactive strategy. These gradually build trust. Even more, they prove that you’re someone who consistently delivers value to the relationship. The first two steps aren’t too out-of-the-box … but demonstrate you genuinely care. The next two steps require digging in deeper, leveraging your relationships and delivering the always-golden ticket: a high-quality referral. Now, let’s step back. So far, this probably sounds like a lot of work. We all know about “all work and no play,” and its ugly outcome, right? We won’t be THAT victim. 5) Go to an event: No, not another lunch. A real outside-of-work event. Some place where you can have dedicated time with the prospect, in a no-stress environment. Take the prospect to a baseball game (in Milwaukee, this would be our beloved Brewers, of course). Buy a table at a non-profit event, and ask them to join you. Invite them to a concert or play. Think about what you enjoy doing … and reach out. People love receiving invitations. Be an inviter. Reap the rewards. 6) Fore! : OK, Mark Twain allegedly quipped that “Golf is a good walk spoiled.” If you’re having a tough day on the links, you might be pondering his wisdom. Nevertheless, golf is a great business development tool. Consider this: Even for nine holes, you have 2+ hours of (hopefully) uninterrupted time with someone. Won’t that help further a relationship? Get a foursome together … and include your prospect! Golf is an endeavor where, because you hit every shot, you are truly the master of your own destiny. You’re in the driver’s seat. Where will you go? The world of sales is similar. By using a plan with proactive touch points, you’re in control. My next post will cover the final step in conditioning your prospects. 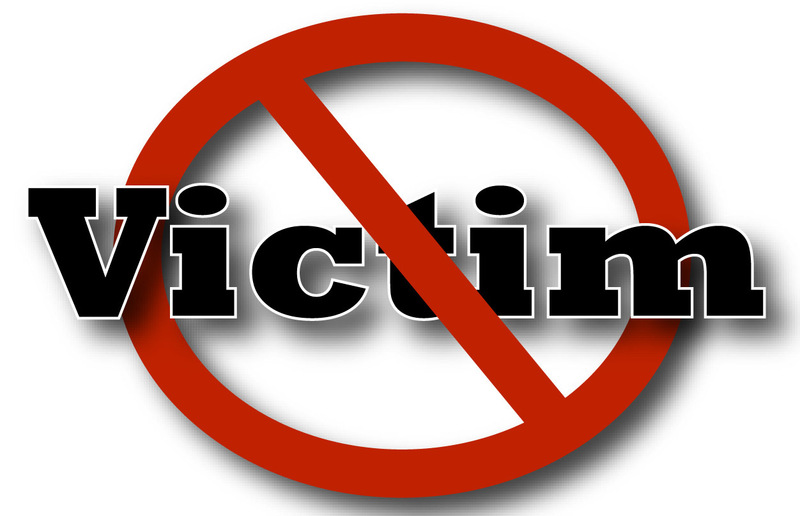 Victim mentality? It doesn’t exist … just like the big water trap you soared your last shot over.